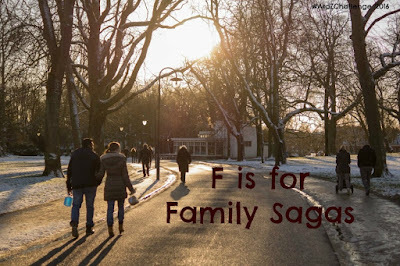 Every family has it - drama - and some of the very best stories and life lessons can be found in the midst of that drama. Whether it generations learning from one another, or a mother grieving, or any of the other trials life likes to throw at us, we embrace the characters and their struggles as if they are our own. Check out these 5 stories of family that Susan recommends, including two that are coming out later this month. 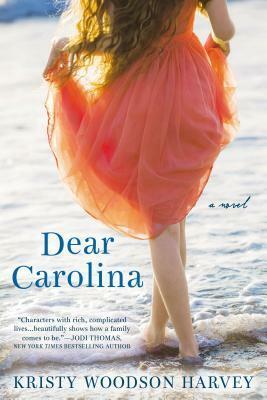 Dear Carolina is a love story of two mothers to their infant daughter. One mother is the biological mother, Jodi, who has made some bad decisions in her life and is poor in money but so rich in spirit and hope for the future. The other mother is the mother who adopts Carolina, Khaki. She is ambitious, nurturing, caring and loving. Both of the mothers love their daughter and Khaki realizes very early that 'you can never have too many people to love you'. I live in North Carolina and these characters are so well done that I feel like they are people that I know in my daily life. Jodi is a serious gardener and canner and Khaki is a designer who has great thoughts and a heart of gold. The characters proved that that families can be made by more than birth - they are formed by love and care and concern. The book made me laugh out loud and it made me cry. These are characters and this is a book that I won't forget and I really look forward to Kristy Harvey's next book. I see great things ahead for her and for her readers. Dear Carolina was one of my top 10 books of 2015 so I was very excited to get an arc of Kristy's Woodson Harvey's new book Lies and other Acts of Love. Even though it's very early in 2016, I already know that this book will be one of my top 10 books for 2016. It is a fantastic story full of wonderful Southern women. I live in North Carolina and I know these women - Kristy's characters are so real that they are just like the women that I interact with in my life. 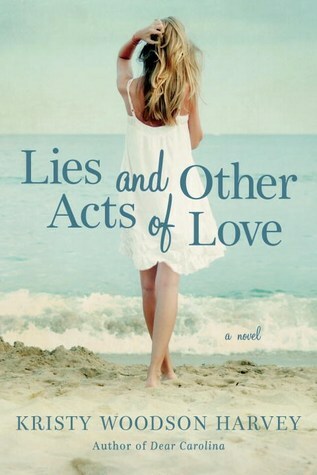 Lies and Other Acts of Love is about family and love and the lies that we tell in our families - not big lies but the little white lies that hold our families together. The story is told by Lovey, the grandmother of the family who is dealing with the impaired health of her husband Dan and her grand-daughter Annabelle, who has just left her rich fiancé to marry a musician she has only known for 3 days. Also part of the story are Lovey's five daughters but the story is told in alternating chapters by Lovey and Annabelle. As the story of Lovey's past and Annabelle's current life unfold, some family secrets are uncovered and Annabelle must decide how to deal with her newfound knowledge and how it will affect her family. Dori Ann Dupre has written a wonderful debut novel about a character named Scout - after the character in her mother's favorite book To Kill a Mockingbird. 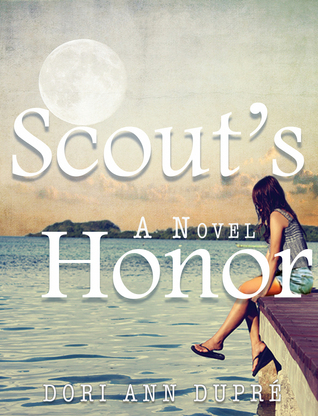 The book covers Scout's life with all of its joy and pain, mistakes and successes. She is a real multi-dimensional character and I found myself thinking about her even after the last page of the book was read. I didn't always agree with some of the decisions that she made in the novel but it all made sense within the context of the story, nothing was forced just to move the story along. The novel begins when Scout is 14. She is a real tomboy, playing baseball with her best friend and looking forward to going back to camp where she can see the older camp counselor that she has had a crush on for years. She is a happy and carefree child. What happens at camp that summer, changes her and her outlook on life for years to come. This is the story of how one mistake can change our view of the world and most importantly our attitude towards ourselves. It's about the struggle to overcome that attitude of self-loathing and try to learn not only how to treat other people better but most importantly how to treat ourselves better. I have only one complaint about this book and its that I have to wait for book 2 and 3 in the trilogy! 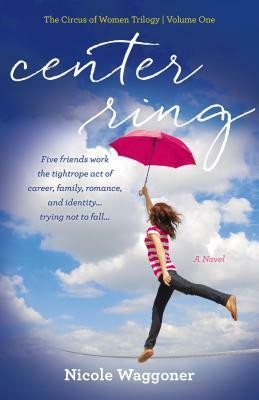 I got so involved in the lives of Norah, Ellie, Cami, Kate, and Leila while I read Center Ring that I want to spend more time with them NOW. But, I will try to be patient and give debut author Nicole Waggoner a little time (not too much though) to use her fantastic talent to continue their stories. 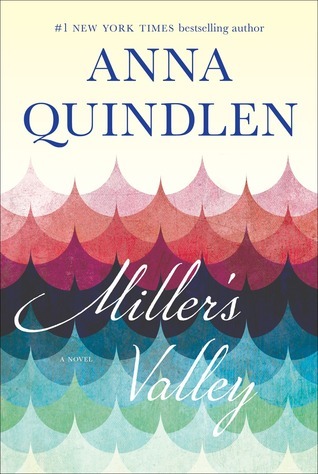 This is a novel about 5 women facing modern day problems. The chapters are told by alternating women but are woven together by their friendship. There was no confusion in keeping the women and their stories separate, their voices were so different and they were easily identified. They all faced problems that are being faced by young women today and they each have distinctive strengths and weaknesses but they are all bonded together by their friendship. 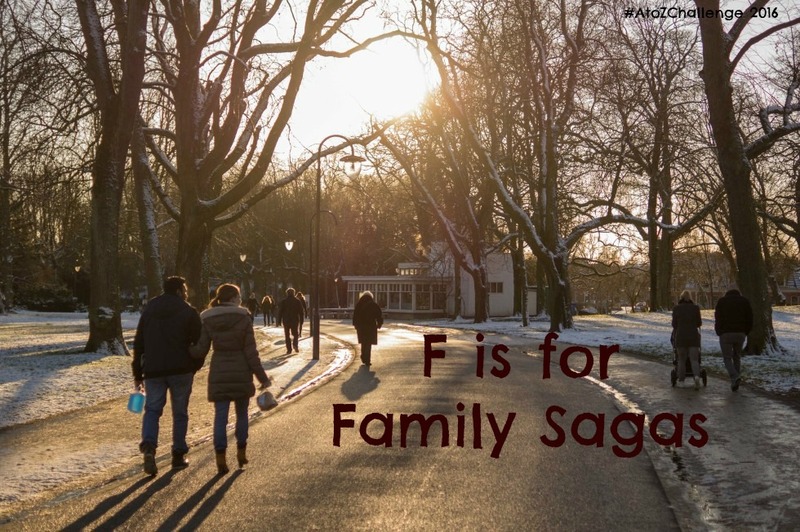 What are some your favorite family sagas? Nice blog post. I love family sagas. More for my growing reading list! Great reviews! I'm signing onto Amazon now to buy these books. Looks like some great summer reading! I haven't heard of any of these. Looks like my TBR list just got longer. I'm delighted I found your blog. I normally read thrillers and novels of suspense, but I also love to get deeply immersed in family drama. I suppose it's because I come from a large southern dysfunctional family and I can relate to the drama. My family is overly concerned with keeping up appearances and it's all about the image we portray so I am extremely drawn to Lies and Other Acts of Love. I also feel certain that I will love Center Ring even though I don't know much about it. I'm headed to Amazon to purchase at least those two, maybe more. Thank you for the reviews and for the introduction to authors I was not familiar with. It's nice connecting with you.